Your feedback is valuable in helping us to improve your experience with ABILITY English. Please answer the below questions honestly and thoughtfully. Your answers are anonymous. * 1. How long have you been studying at ABILITY? * 2. What is your nationality? * 3. Why did you choose to come to ABILITY? * 4. Who was/were your best teacher(s)? Why? * 6. What was your favourite course at ABILITY? * 7. What was your favourite activity at ABILITY? * 12. On a scale of 1 to 10, how strongly would recommend ABILITY to friends or colleagues? * 13. 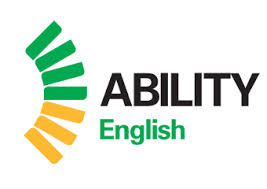 What were the best things about ABILITY English? * 14. How can ABILITY English improve? * 17. After ABILITY, where are you continuing your studies in Australia? * 18. Do you have any other comments? Thank you for your time and feedback. We wish you all the best.